We will cease raw milk sales as of 3/1/12. That is the day our farmowner's insurance policy renews and the insurance company informed us that they will no longer cover any liability relating to raw milk sales once the policy renews. Since raw milk sales are less than 2% of our gross farm sales, we cannot jeopardize our farm by continuing the sales with no insurance coverage. We have never had a positive pathogen test in the several years we have had pathogen tests, but we just can't take the risk in case something happened. I want to thank all of our customers for their patronage and support. I've met so many wonderful people through this activity and will miss that interaction. 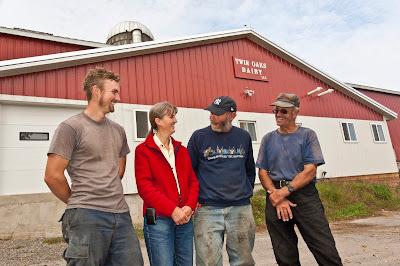 Thank you for your wonderful comments about our milk through the years of our sales and for your support of our farm. May you continue to find sources of wholesome, healthy food to nourish your bodies! 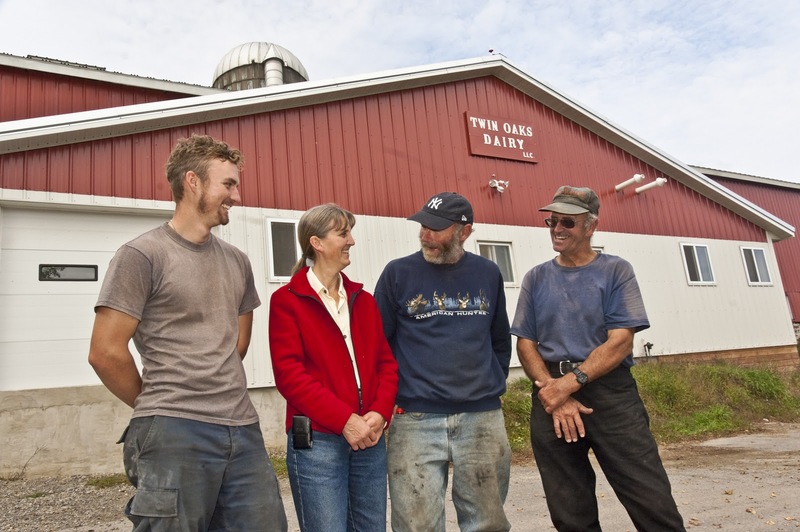 At Twin Oaks Dairy there have been many transitions over the years. In 1993 we ventured into new territory with our dairy herd as we transitioned to intensive rotational grazing, turning surrounding crop land into permanent pasture and meeting with success as our cows became happy and healthier eating a regular diet of lush, green grass. 1995 marked the beginning of our transition to organic and we became a certified organic farm in 1998. Continuing the trend, we welcome yet another transition this year, this time a generational one. On October 1st, Rick and Kathie's twenty-three-year-old son Kirk, became the newest partner and co-owner of the farm. It's been a natural progression, as Kirk has steadily increased his hours of work and knowledge of the farm over his years of growing up here. As he takes on more decision making responsibilities and work, Kirk will be taking over his uncle's share of the farm as Bob is phasing into retirement. Having farmed for decades, Bob will remain in his family's home that resides next to the milking barn and plans to stay involved, working a reduced number of hours per week. We're looking forward to the years to come and are thankful that a new generation is at the helm to help steer the farm well as we navigate future transitions. 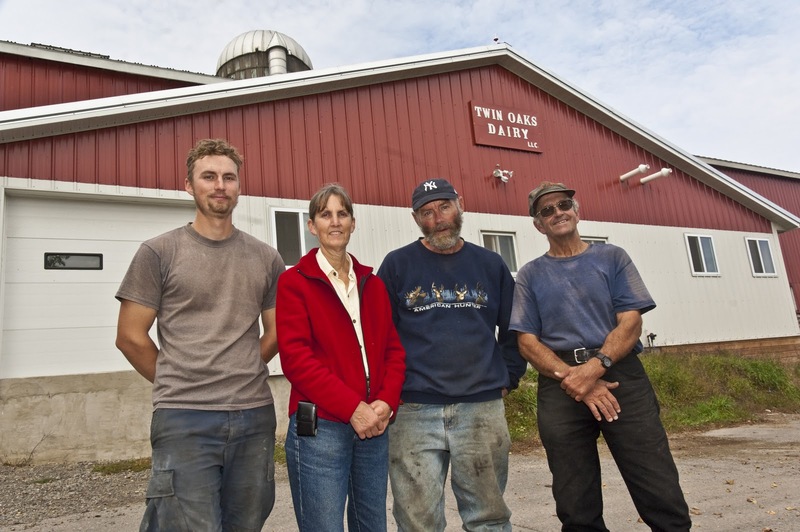 Bob, Rick and Kathie Arnold run Twin Oaks Dairy. In partnership since 1980, the farm has been certified organic since 1998. Organic, farm fresh raw milk available for on-farm sale.